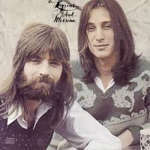 Learn how to play Loggins and Messina – Danny’s Song note-for-note on guitar. The lesson teaches Kenny Loggins’ guitar part from the original studio version. It includes an optional lesson offering an alternative picked and strummed accompaniment that can be incorporated for variety. The complete file contains 2 lesson videos, a performance play thru video, full tabs, chords and lyrics. You’ll receive a link to download the lesson which will download as a zip file of 358 Mb containing all the lesson content.